Alendronate (fosamax) prescriptions are currently not available via our online consultation service. You can, however, request an online consultation for osteoporosis. 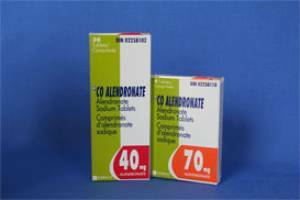 These effects are seen as soon as 3 months after therapy with Alendronate has begun. Please remember, for your osteoporosis treatment to be effective, you must stick to the treatment regimen prescribed by your doctor.